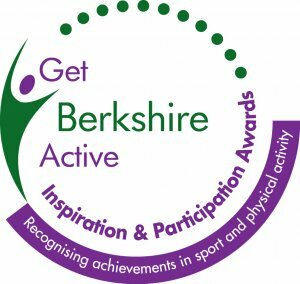 Get Berkshire Active are proud to announce the official opening of the nomination process for the 2018 Awards! This ceremony recognises local achievement, and celebrates the fantastic contributions in Sport and Physical Activity across Berkshire in 12 Award Categories. Follow the link for more information and to nominate the person/organisation who's work and contribution should be recognised and celebrated! The official Awards ceremony is due to take place at the Hilton Hotel in Reading during February 2019! https://bit.ly/2pfBWMM. 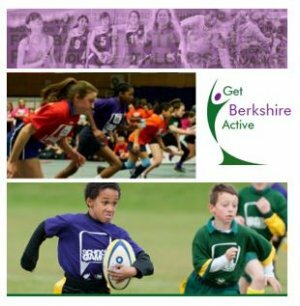 Get Berkshire Active are proud to announce it is not long until Sports Education Week kicks off until the 13th October- 28th October. This will be a great opportunity to have access to training courses and qualifications within sport to help all of us to engage in a more healthy and active lifestyle. Look at our range of courses and come and join us in what is to be a truly insightful Sports Education Week! https://bit.ly/2ujyeDI. More to come in Slough! Get Berkshire Active are continuing to work with Thames Valley Police to provide meaningful and engaging physical activity for those aged 11-18 living in Britwell, Slough to help with their crime prevention project. We've been busy over the summer holidays with a range of different sessions! We kicked the summer off with a Fun Day for all the community to get involved in. There was a range of activities to take part in such as archery, crazy golf and more inflatable fun! 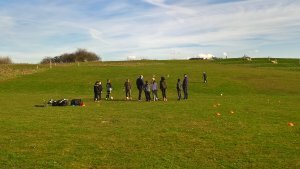 Throughout the 6 weeks we provided football, rugby, cricket and multi-sports on the main field during the day. As the summer days came to the end and most started getting ready to go back to school we finished with a BMX and mountain bike day for all young people to come along and try. We're really looking forward to continue working with these young people and can't wait to give you our next update! Each day only 8% of girls are meeting recommended daily physical activity guidelines and each week 1.5million more men are playing sport than women. This needs to change. Women in Sport is offering a new Research and Advice service to support the sport sector in accessing, understanding and applying their insights to empower more women and girls through sport and to transform the sport sector. Access research and insight for free. Understand how to put research and insight into practice. Submit an enquiry for advice. Apply the research with the support of the Women in Sport experts through their paid for workshops and bespoke services. CASE STUDIES: find out how Women in Sport's Research and Advice service is helping the sport sector to better engage women and girls. Stepping into Autumn with GBA! GBA welcomes new team member... Anna Kondakova has joined us as our full-time Marketing Officer. Anna has a significant amount of experience through Business to Business Marketing and will be aiding support towards our marketing strategy. To contact Anna please email: Anna.kondakova@getberkshireactive.org. Data Protection... Get Berkshire Active are getting ready for new GDPR data protection laws coming into effect across the EU during May 2018, we shall be sending out details shortly regarding how you can stay in contact, manage your profile and communication choices with us. Over the past few months... Here at GBA it's been all about creating opportunities to network, sharing good practice ideas, building new partnerships, gathering information and gaining insight! A hugely successful start to Autumn at GBA, with a variety of successful events rolled out, helping our partners and networks come together to connect, learn and grow! Our Club forum provided a focus on money saving ideas and tips, funding opportunities and discounted services, while the Sport and Activity Network forum focused on Insight and successfully shared these ideas across many of our community sectors. Not forgetting the Sport and Physical Activity Network (SPAN) forum which had allowed the opportunity for all those in attendance to discuss the best way forward were Get Berkshire Active are able to support organisations, Local Authorities, Clubs and Community Groups through funding. In case you didn't know, Sportsable have now launched a new, weekly Junior division that offers children and their families, including siblings, an opportunity to have fun and play disability sport together, through a combination of structured and open activities. This is designed specifically for children under the age of 18, particularly those with sensory and physical disabilities, the sessions run from 2-4pm every Sunday at SportsAble's fully inclusive facilities at Braywick Park, Maidenhead. The sessions are fun, inclusive and family-friendly in every aspect with Juniors having the opportunity to play against family members in a wide variety of sports including Wheelchair Basketball, Table Tennis, Boccia, New Age Kurling, Athletics, Polybat, Wheelchair Dance, Ball Games, and Net Games. "At SportsAble we want to create a unique opportunity for children to play sport together with their brothers, sisters and parents in a friendly environment where we are all committed to having fun," explains SportsAble's CEO Kerl Haslam. Free taster sessions are available for first-time users. For more information or to register an interest in attending please email info@sportsable.co.uk or call 01628 627690. UK Coaching's Mini Team Event Transforming Learning on the 14 November is perfect for those who are passionate about learning and development. As part of our new learning approach, our goal is to create cultures that promote learning and development, openness, creativity, and experimentation! The day will include interactive workshops, industry experts and a chance for you to connect, learn and challenge in the field of learning and development. In line with our learner-centred approach to learning design, we want to understand your needs in order to help shape and drive the event. Please fill out the short survey by clicking on the picture. Once you've completed the survey you'll be able to book onto the event. 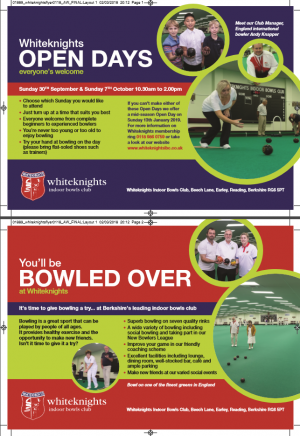 It's time to give bowling a try... at Berkshire's leading indoor bowls club White Knights. Everyone is welcome to their open day's taking place on the 7th October. Click on the flyer below for more info and get involved! Do you want to gain valuable knowledge into First Aid for Mental Health? 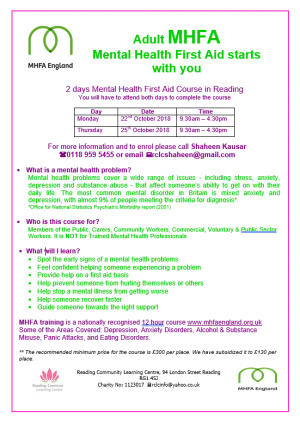 Well luckily for you Mental Health First Aid are running a 2 day course in Reading to understand mental health's issues towards daily living. Click on the flyer for more information.